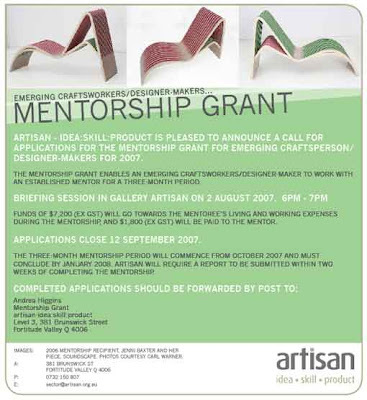 Craft QLD/Artisan have just announced this year's mentorship grant. 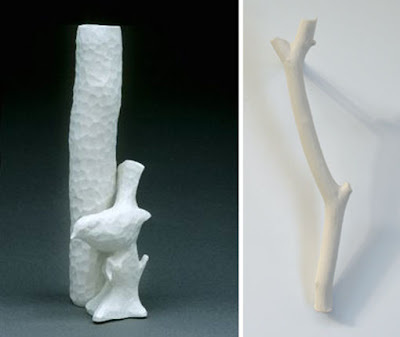 When I first graduated from uni about 6 years ago I recieved this grant, and spent three rather amazing months at the Canberra School of Art working with ceramic artist extraordinaire and all round great lady Patsy Hely (images above). It was a defining experience for me, and the skills and ideas touched upon during that time still impact greatly on me today. The chance to develop work under the guidance of someone like Patsy, to explore and exchange ideas, to learn new skills and experiment with different approaches, to reflect on new directions and possibilities for your practice....oh gush gush the benefits are endless!! I can't say enough about the value of these programs and highly encourage anyone who is eligible to get cracking on an application. More info on the mentorship here, and you can read a wonderful article on Patsy Hely by the smarty pants Dr Sarah Rice here.